Hello, hello! Welcome back to another post here at Satisfaction for Insatiable Readers! Guess what today is? (Oh, come on....guess!) It's time for another FANTASTIC Book Blog Tour to grace us with its presence and bring YOU the readers a chance to hear about a great new book! The fun only begins there though....not only do we have your as-expected book review from yours truly, but we have an interview with the author (definitely fun if I may say so myself...and since I read them already, please trust me on this....you have to read it) AND your chance to score your very own copy of the book we are focusing on and presto changeo, TADA...a post full of fun for all! (Gotta love the title, right?) Welcome to the small little water-side community of Farrago Bay. Peaceful and calm with not a care in the world...or so it would seem. Humpback whales attack and kill a boat load of tourists. A reknown surfer is found dead missing a limb or so and under rather slippery circumstances. Mysterious robberies have been occuring at the local businesses. All of these and more without so much as a concrete suspect. Something is not quite right in this sleepy little outpost, but not to worry.....the Brain is on the case! Who is the Brain (and how on earth did he come upon his name)? Well, in short....the Brain is really an accidental nickname for his preference to be called Theo Brain, but his real name is Theophilus Nero Hercule Sherlock Wimsey Father Brown Marlowe Spade Christie Edgar Allen Brain. (Okay, so short may have been misleading there....) He is the self proclaimed World's Greatest Detective and with good reason...alas I can not reveal all, but let's just say his name wasn't just bestowed upon him....there was quite a bit of thought put into it. The Brain is determined to uncover the truth behind the happenings in Farrago Bay...but not without a little help. Sheldon McGlone, his newly elected sidekick, hasn't been one to draw attention to himself. Known to fly a bit under the radar (when he's able), Sheldon will discover more about himself and what really makes a friend a friend sooner than he thinks. Let's just say that I had a blast with this one. I have been reading such a myriad of books recently on a variety of topics...I really needed a YA break from it all. The perfect opportunity arose when a blogging friend of mine (*cough* Bri *cough*) passed along the chance to host a stop on this book blog tour. The story is engaging...catching you off guard and drawing you in with each page. I mean the writing...well the actual content is insulting at times, but in a good way. Hmmm, let me see if I can explain that a little better. When you read the work of an author, it tends to be written in their own style and "language", thus reflecting who they are and where they are from. This particular author, Martin Chatterton, had his roots back in Liverpool, traveled he world including stops in the US, and settled down in Australia. What does this say about his writing? Just that it is a unique voice from some of the books I have read. There are passages that are so absurd (read that as insulting) that you can't help but laugh at how the person or situation is being described. It's really quite original (in my humble opinion). Then you have the storyline. I mean the character names are one thing (thank goodness their origins are explained within the book), but the nature-gone-wild is very imaginative. I can't say too much about that portion without spoiling the story, but I bet you won't be able to guess the exact outcome of this adventure until all is revealed. In the end, this book definitely stands on it's own, but FEAR NOT...it is not the end of The Brain's story! There is another title in this newly started series scheduled for Spring 2010 entitled "The Brain Full of Holes". With an adventure this interesting, I simply had to opt for an author interview to tie in with this stop on the tour. I simply had a few things I was curious about and thought...hey, you might be too! Check out what Martin Chatterton had to say when presented with my array of questions...take it away! 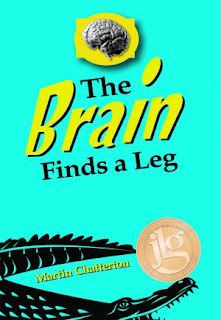 Where did you come up with the general story behind "The Brain Finds a Leg"? I was living in SW Florida (at Bonita Springs) and I almost trod on a gator while out one day. It made me think about how we (humans) had moved in on their territory and the idea for a story about animals going crazy was born. Originally it was going to be called 'Wild Things'. When I moved to Australia I switched the setting and introduced local animals and people (substituting hippies for snowbirds for example). I really enjoyed writing Theo Brain. I grew up reading the Sherlock Holmes stories and I channeled that voice for Theo's dialogue. It's a clipped, English upper-crust and somewhat dated way of speaking which - I think - makes everything he says funny. It was challenging to make such an extreme character fit in with more realistic and contemporary characters. Probably Sheldon. He is (obviously) the Watson to The Brain's Holmes. 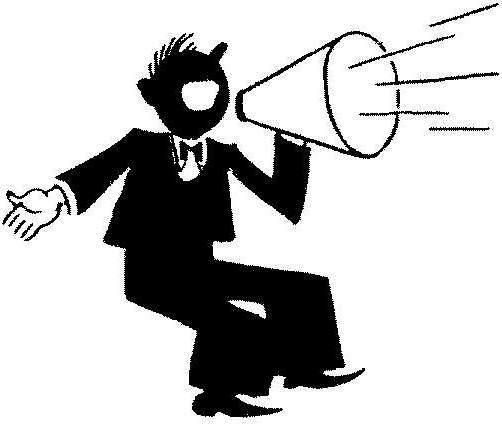 That makes him the human voice behind the story. Although not very like me in personality I think we can all relate to the underdog. Your "about me" information lists you as having been born in Liverpool, but settling in Australia. That's quite a jump! What's the one thing you miss the most about your home country? What's the one thing you LOVE the most about your new one? It was a jump although we spent five years on and off in the US, and moving there completely in 2002. We then went back to the UK before moving again to Australia. If there's one single thing I miss about England it's the proximity to Europe. I miss being able to go for a weekend in Madrid or Copenhagen or Paris so easily. Having said that, where we live now has a few major advantages over rain-sodden Northern England, the main one being SUN and plenty of it! We have a fantastic outdoors beachy kind of life here. Of the wild and crazy critter characters you brought to life, which one was your favorite? Why? That has to be the psycho koalas. I like the idea that animals have an inner life that we know nothing about. 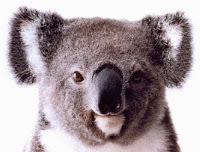 Koalas in Australia are seen as such gentle, sleepy creatures that I enjoyed reversing that idea. And, as a 'Pom' (the Australian word for the English) I get a kick out of messing about with an Australian icon! People get very annoyed if you criticize a koala. No. I was always a big reader but it wasn't until my late twenties that I began to write. I was, and still am, an illustrator. That was my training and it's been a gradual shift into writing. What is the best advice you can offer to aspiring writers? When I do school visits or festivals I get asked that a lot. I always say a few things. Firstly you must be a huge reader. The reading doesn't have to be particular books but it must be fairly wide and you must gravitate towards the realization that just because it's been published that doesn't mean a book is any good. The better I get at writing (modesty not being my greatest asset) the more I see lousy books all around me. Some of this is plain old professional jealousy but at least part of it is true: most books aren't very good. The second piece of advice is to keep practicing. I went to see David Beckham play in Sydney last year in an exhibition game. Beforehand, he practiced long passes for twenty minutes. For an exhibition game at the tail end of his career. He got good because he practiced. If I wasn't a writer, I would be... a pro soccer player. When I am not writing, I can be found... on the beach. 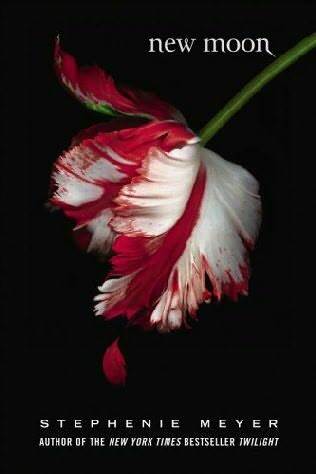 On my night stand.... is usually Elmore Leonard but right now it's 'Restless' by William Boyd. One author I look up to is.... PG Wodehouse, no contest. Can I have more? Evelyn Waugh. Elmore Leonard. Kingsley Amis. I really enjoyed 'A Spot of Bother' by Mark Haddon recently despite wanting to hate it (because he's an English illustrator turned writer like me...except he had a HUGE hit with 'The Curious Incident...'). I love writing that looks effortless but is honed to perfection. I loathe the waffly, 'Book Club' kind of writers. Additional thoughts I'd like to share.... Never trust a critic. Thank you so much...that was a riot (and had some great advice too)! It's always great to see where things came from with an author's perspective....you never quite know what you'll discover. The Book Tour for this title is visiting today thanks to Erin at Peachtree Publishers; the review copy was also received courtesy of them. For a further look at this publisher, see their website or make a connection on Twitter. The author interview was courtesy of ....well, the author...with a little help from A to B thanks to Erin! (THANKS!) Author Martin Chatterton can be found on Facebook, his website and Twitter (but of course). Check them out for more information! Question TWO....of all the animals in the Animal Kingdom (not Disney...well, okay, some in Disney, but not only those...), which one do you find the most interesting and why? +1 for answering BOTH "comment creators"
THIS CONTEST IS OPEN TO US/CANADA RESIDENTS ONLY! All entries must be received by midnight CST on Friday, December 11th, 2009. The winner will be drawn no later than Monday, December 14th, 2009 and contacted via email. Winner will be chosen using random.org. 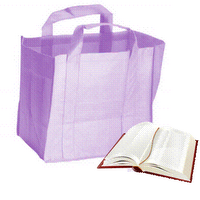 Mailing information will be forwarded to the publishers (Peachtree Publishers) for shipment ONLY and then discarded. Have fun entering and until next time....happy reading! Normally this post would be seen on a Monday, but since we have a very special guest coming through tomorrow, this week's meme will be posted on Sunday! 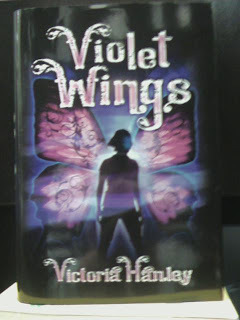 Another eye catching cover to add to your must see lists...Violet Wings by Victoria Hanley. 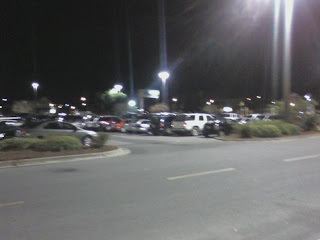 How I spent my morning...no sleep but I'm in the ''mad throng'' waiting for the 1st of many stores to open...FREEZING! Hello everyone! Welcome back to another post here at Satisfaction for Insatiable Readers. If you are a new visitor....welcome! Kick back and stay awhile! If you are a returning member, well you know the fun we have in store, but feel free to spread the joy around. This is the story that rings true in so many households today. A single mother working off hours to support her child. A community filled with hustle and bustle, so focus on their own individual lives as they try to survive the unending rat race that they miss out on the simple pleasures that surround them....almost. You see with lives as filled as these, time schedules and routines are a must. 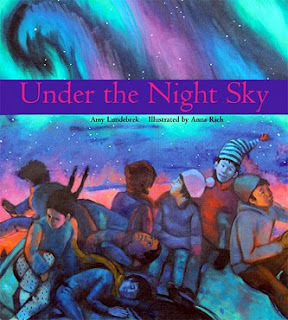 One night, a young boy's mother breaks away from that routine to experience the beauty and majesty of the aurora borealis with him....in turn creating a memory that will last a lifetime. Coming from a single parent home, I definitely identify with the child at the center of this story. Mom always did her best, but without the fine-tuned routine, chaosis was soon to follow. There were days she would start really early and have to drop me off at school that much earlier just to make it in time, and then there were weekends where I would go with her while she worked her remaining hours (that free time allowed for Casey Casem Top 40 listening and...reading, of course!). Single parents as frowned upon by some, but I'd say that they are some of the most valiant and love filled individuals in this world. They take the issues normally faced by two parents and handle them as one, driven by their love of their children. Memorable moments can be hard to create in such a dwelling, but come they do at the least expected times. The mother in this story chooses to take a few minutes from their otherwise scheduled day to make one of these moments come to pass. Mother Naure provides the exhibit, while she and the neighborhood, provide the audience. It really presents a feeling of community spirit when everyone regardless of race, status, or age comes together to watch the light show in silent awe. Review copy received courtesy of Sarah at Tilbury House. (THANKS!) 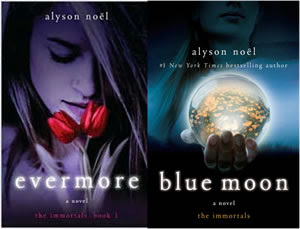 To view their available titles, check out their website or follow them on Twitter. **As this book is yet to be published, this quote is from the "working" copy I received courtesy of the author. Whether or not this will be a weekly post for my site, still remains to be seen....your feedback is welcome! None so far....but the day is still young. 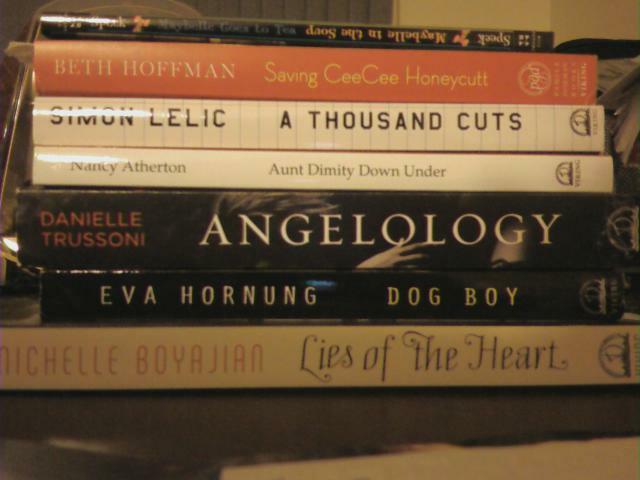 Hello, hello and welcome back to another exciting day here on Satisfaction for Insatiable Readers! I know you are not accustomed to seeing a full-fledged posting on a weekend (hey, we all need time away, or unplugged....unless you're Johnny Mneumonic and that's another movie/story altogether), but this one is extra special and could just not wait! 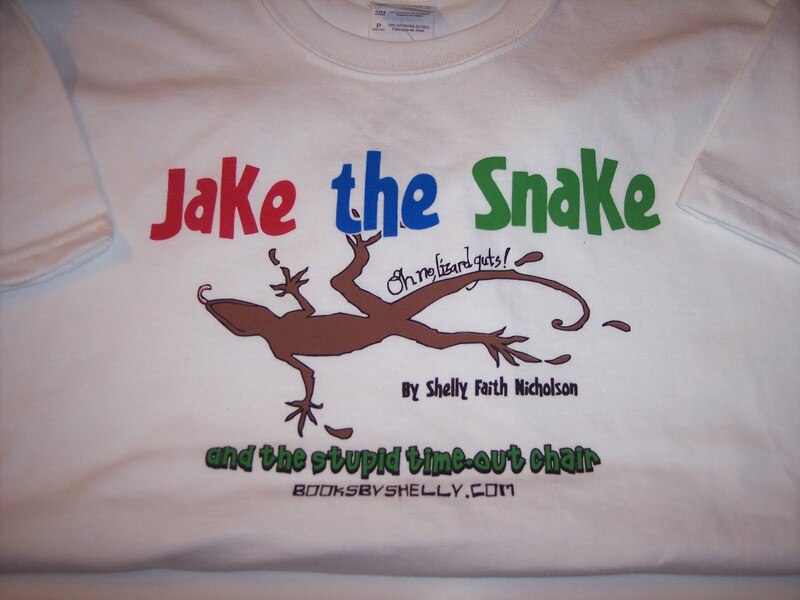 Today we are the hosts of author Shelly Nicholson's Virtual Book Tour for her first book entitled, Jake the Snake and the Stupid Time Out Chair! (How's that for a title?) Aside from the awesome name itself, this is really the story of young Jake (the Snake) and his quest to avoid one particular gift of Christmas that he is only to sure to receive due to his antics. But wait! Before I go into a review of the title at hand, the author was kind enough to stop by with a guest post just for you! Take it away Shelly! 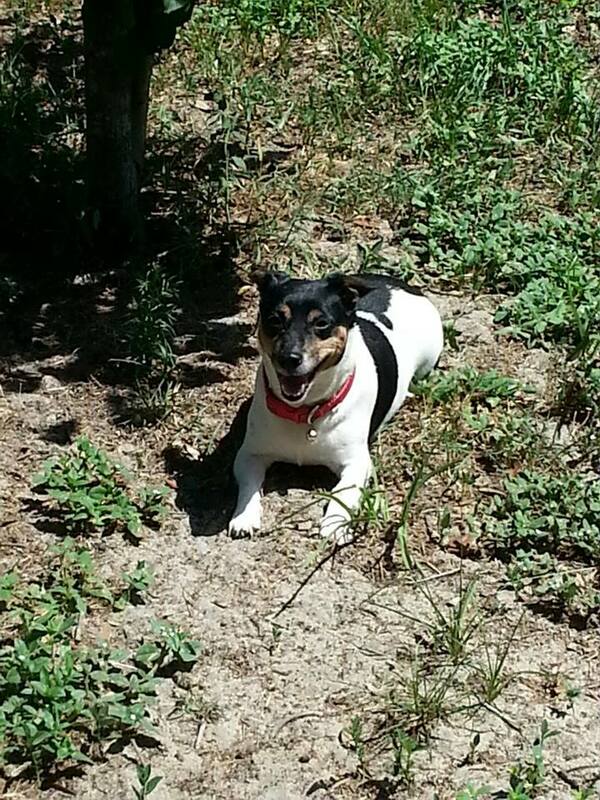 First I would like to take this opportunity to thank Gina for hosting me on her blog! Thank you, Gina! I am so happy to be here. My now 8-year-old son was inspiration for my “Jake the Snake” series. I am the mother of 4 (3 sons and a daughter), but Jacob, my youngest son has always had a very colorful and energetic personality. With all the mischief he’s gotten himself into, I’ve had lots of inspiration for these books. I’ve written my Jake the Snake books in the voice of a funny Kindergartener who tells it like he sees it. I would describe Jake the Snake’s character as Dennis the Menace meets Curious George. Jake the Snake might even be best friends with Junie B. Jones. I had so much fun writing these books and got to laugh right along with Jake’s antics while writing and revising. 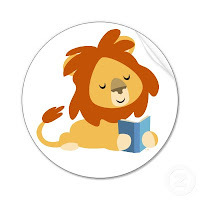 In my writing, it is my intention to provide kids with a love for reading through relatable situations and laugh out loud humor. Telling the story in the voice of Jake the Snake himself made telling this story so much fun! It puts me, the writer, into the mindset of a 5-year-old boy and makes me appreciate a child’s viewpoint. My first book, Jake the Snake and the Stupid Time-Out Chair is 9 chapters and 64 pages long. 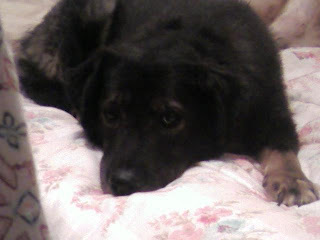 It has a fun Christmas theme, because Jake the Snake is terrified he is going to get a “stupid lump of coal” for Christmas because he has been sent to the “stupid time-out chair” so many times for being naughty. The book has lots of short sentences and funny kid friendly humor. 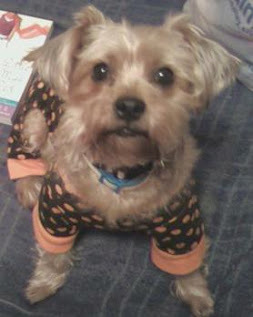 To read my favorite excerpts, you can visit my website www.booksbyshelly.com. I hope you’ll visit and check out the printable coloring pages, and meet Jake the Snake and the other characters from my book! 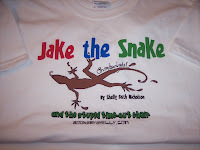 Besides my Jake the Snake books, I have written lots of articles and stories for children’s magazines and e-zines, including Kid Zone, Fun for Kidz, and Jack and Jill, Stories For Children Magazine (www.storiesforchildrenmagazine.org), Stories that Lift, and Story Station. As most children’s writers would probably agree, almost all of my stories come from the inspiration of my own children. Thanks, Shelly! That insight explains a lot! As you just heard (okay, read...), this book is written in the voice of a five year old boy. 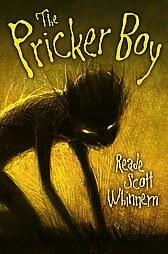 It definitely makes it an interesting read as you find yourself adopting the mannerisms of your five year old self while reading this tale. We have a contest ladies and gentlemen! Courtesy of author Shelly Nicholson, each of YOU have a chance to win a combo pack that is very cute, if I do say so myself (and I do...). (1) Child size Jake the Snake - "Oh No, Lizard Guts!" T-shirt! Winner can choose child's size Small (4-6), Medium (8), Large(10-12), or X Large (14-16). What's the funniest, silliest, craziest thing you remember doing as a child? Did you try to avoid getting in trouble for it or did you simply come clean? All entries must be received by midnight CST on Monday, November 30th, 2009. The winner will be drawn no later than Wednesday, December 2nd, 2009 and contacted via email. Winner will be chosen using random.org. Mailing information will be forwarded to the author (Shelly Nicholson) for shipment ONLY and then discarded. I hope you enjoyed this post as much as I! Special thanks to author Shelly Nicholson for making us a stop along her Virtual Tour. Book copy for review received courtesy of author. Title & cover caught my eye. Into the Wild Nerd Yonder by Julie Halpern. Ck it out! Ahh...it was GREAT! The whole theater managed to stay quiet throughout the movie (which by the way is a little ovr 2 hours), except for small bouts of laughter at the appropriate times (and there were quite a few). 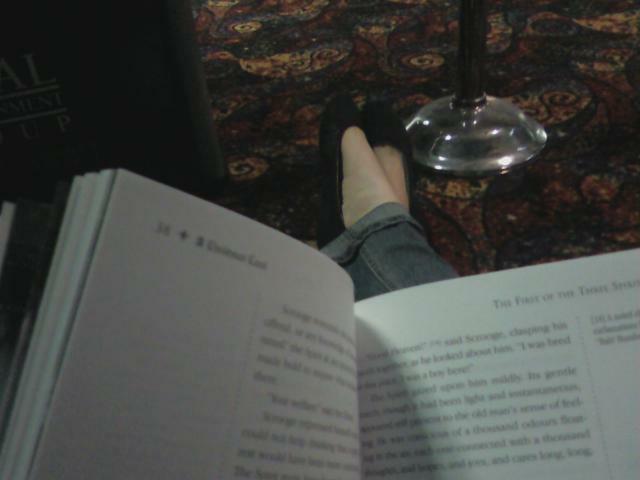 As far as book versus movie....they stayed fairly close for the most part. I mean some scenes were obviously more cut to the chase than the detail in the book, but overall for this reader....it worked. The effects used to show the passing of time, and the hallucination version of Edward....not too shabby. I do have to say that even after seeing the movie, not a fan of the soundtrack (SORRY!). There weren't any moments that I was thinking more about the song playing than the footage, but there also weren't any "wow this is great" moments for it either. On to the actors and actresses....some things I noticed at least. Kristen Stewart (Bella) grew into her part...FINALLY! The first movie had her as a stumbling stuttering can't-complete-a-sentence girl who just didn't fit the literary version of the character. 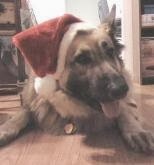 This one she is obviously more confident but well within Bella's limits. The color scheme chosen for this movie was more golden, and that worked on most of the characters...but it looked like they forget Edward (Robert Pattinson) when they made this setting. He still appears quite "blue" compared to the rest of his family....at least his over-acting (for a quick reminder, check the Twilight DVD for their first meeting in Biology class....now do you remember?) has been reigned in. He still had a few moments where you were wondering what he was thinking with the facial expression he had, or wished the slow motino walk would speed up just a bit, but the performance was a lot better overall. Jacob (Taylor Lautner)....what can I say (sorry Team Jacob fans....here it comes...)....while his acting in the later half of the movie was better (to me at least), newly found muscles or not, he still comes off as younger than his part. Definite KUDOS though for when we saw the last of the long hair....not a good look when you already have a really young face (well for a guy anyway...). 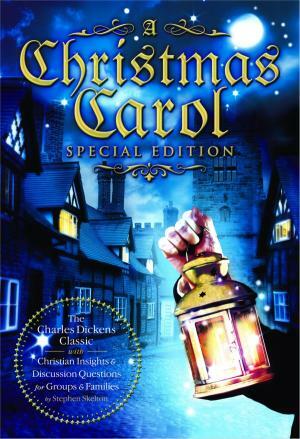 When all is said and done....I definitely recommend the movie for fans of both the books and the movies. Certainly worth your time. Until next time....happy reading (and watching!). We're in the theater! 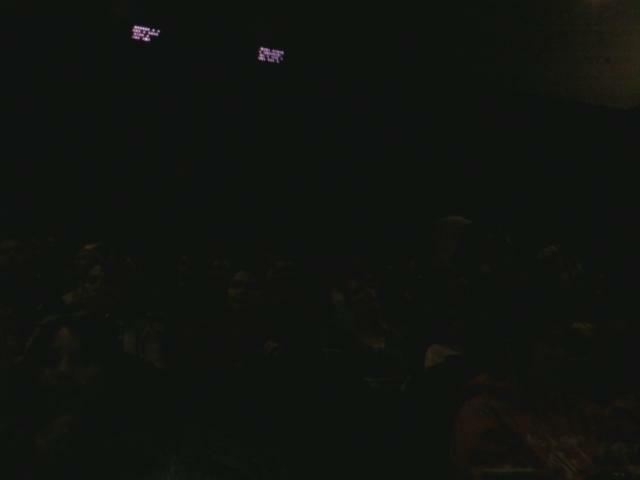 Not sure how well you can see but it's pretty much full and they only let us in 2 minutes ago. Hello again everyone! I just couldn't wait to get a post of this nature up and ready with the fun to be had later tonight and into the wee hours of tomorrow morning. That's right! 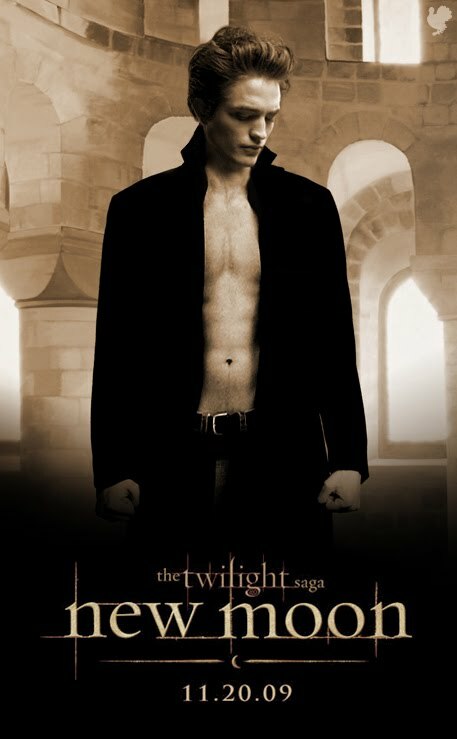 This post is dedicated to the Twilight Saga, New Moon hype we've all been hearing about and participating in for the past several months. The efforts are now reaching a stopping point because late tonight....TADA! New Moon visual satisfaction. As you may know if you are a frequent reader of my blog, I am definitely Team Edward girl.....but we're talking more book wise than movie wise. Don't get me wrong, I like the movies, but I simply LOVE the books. Earlier in my web surfing adventures, I came across a rather interesting post in support of Team Jacob. 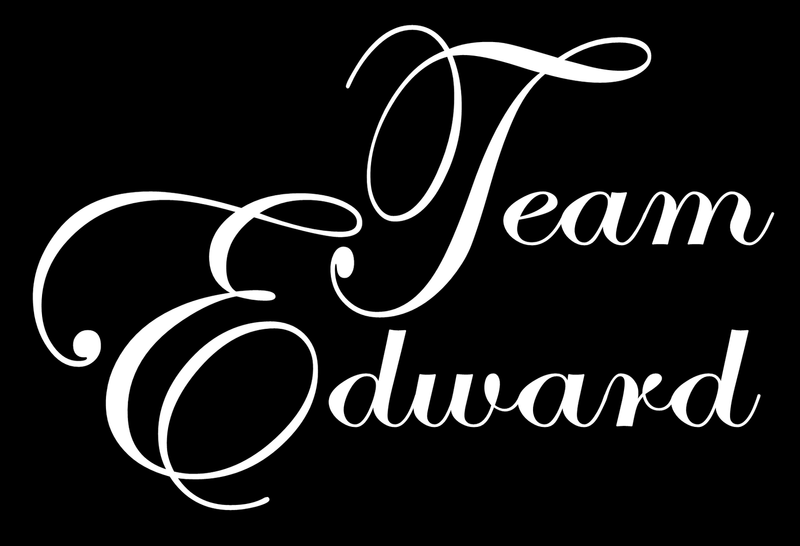 While the postee made several good points for her team choice, I felt compelled to do a counter post if you will to shine a brighter light on the Team Edward benefits and attributes. (Hey friendly "competition" has always been welcomed....let's just lay the cards on the table, shall we?) I'll try to address the previous post point for point (TJ = Team Jacob statement, TE = Team Edward view point), but I may add a few in for good measure.....here we go! 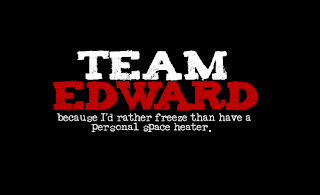 TJ: Jacob is alive and warm versus cold and "dead" Edward. TJ: He can have children,while Edward's miraculous offspring will claw it's way out. TJ: Jacob is hot literally (the wolf bit) and actor wise with or without the wig. 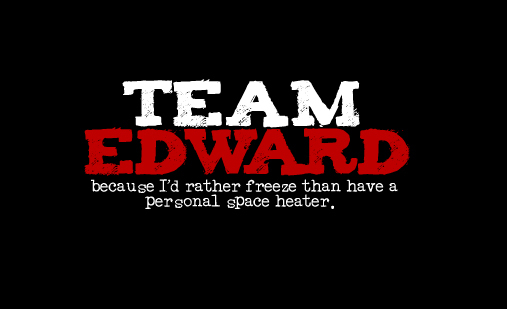 TE: As far as the literal hot factor...we've come full circle back to the space heater bit. In regards to the actor, I'm gonna refrain from commenting since I'm more book fan than movie. TJ: Wolfish nature means he will be naked quite often. TJ: He's not old enough to be your great grand dad nor have met yours. TE: Now that's hitting a bit below the belt....and forgeting some keys factors once again! He's older mind-wise which the last time I checked is a good thing with guys since they seem to mature more slowly in this area than gals. Body wise, Edward is your average (okay, not-so-average) teenager which puts him in his "prime" so to speak. 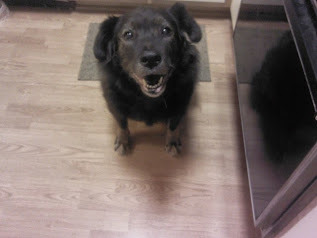 Plus, don't forget....one day Jacob will be older, balding, and perhaps have a ponch from too many puppy treats....Edward will always look this good. TJ: He doesn't want to drink my blood. TE: I can concede on this point a little as yeah, the thought of someone wanting to drain my blood doesn't really appeal to me (had enough of that as a child with medical tests, thank you very much)....but remember, the Cullen clan is made of "vege vamps" and if you remember in the books, they tend to hunt what's in season, thus acting as a natural predator to keep populations in check. I don't want "Bambi" on the menu either, but you also don't want their numbers to get out of hand and have to dodge many "Bambi's" on your daily drive. TJ: He never left, Edward did. TE: Touche....but not exactly! (HA! Thought you had me huh? ) It is true, Edward leaves her, but it's not like he's cheating on her or something. He leaves to save her life and it's hurting him just as much as it's hurting her (remember his attempt on his life?). Technically Jacob leaves Bella too....when he is trying to figure out the whole wolf thing before Bella knows his secret. TJ: He can sleep and eat. Now we can't let me have all the fun....time for YOU to weigh in! Which team are you and why? 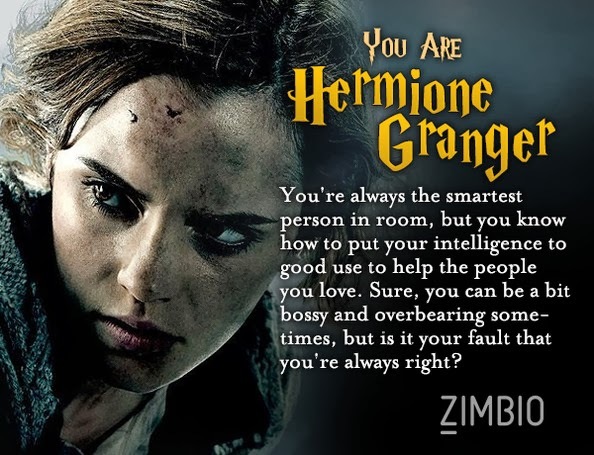 Well, this quick assessment is soon confirmed when she meets the black cat that bestowed the parting gift on her during their last meeting. It turns out this this same said cat can talk and is in no way an actual cat. His name is Fargan and he is an Animelf. (TINY SPOILER) An Animelf is part of an ancient elfin race that possess the ability to transform into any animal past, present, or future as they like. (OKAY, SPOILER OVER) He has brought the Princess back to their realm in order for her to help them in their quest to find Prince Callum and stop Morgrath from taking over their lands. Whoa, whoa, whoa....back up a bit....Princess? (Yep) Kelly Black as it turns out is the Princess to their realm. Her mother was Queen before her and was banished (well, more like tricked or held captive) in the human realm thanks to an evil turn by Morgrath. The fate of their world depends upon her....will Kelly be able to muster up the courage, strength, and let's face it, belief to save them all? All in all, I enjoyed the ride. It wasn't exactly what I thought it would be when I first picked it up, but in actuality, I think I liked it more so because of this fact. Kelly meets life, love, and death (not necessarily in that order!) and comes out better for it on the other side. (Yes, that was purposely cryptic...you have to read it to know what I mean!) 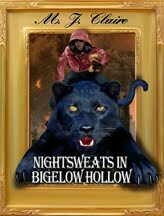 Recommended for readers of Young Adult fiction and everyone from lovers to dabblers in the fantasy genre. 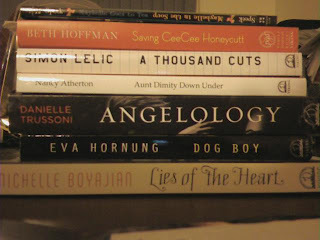 Special thanks to Elizabeth at March Books for the ARC for review purposes! (THANKS!) A little information about the publisher as listed in the galley copy itself....they are a GREEN publisher! No, this doesn't mean that they don't value a good old-fashioned paper book (hello...that's what the galley was! ), it means that they employ the benefits of the print-on-demand type services being offered at many locations. When the book is requested, the book is printed, thus allowing only those trees that need to be used, to actually be used. As stated in the beginning of this post, my connection to them was first made on Twitter, so feel free of course to check them out there for this and other great titles. 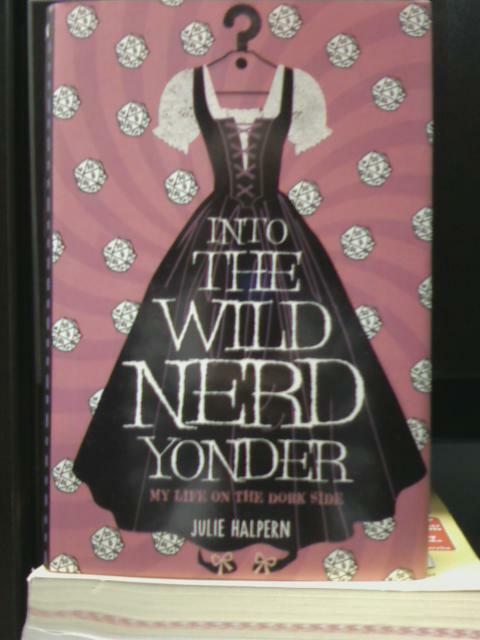 Young Adult fiction tends to run the gambit of subjects. Life, love, dead, immortals, and on and on it goes. In light of this book, here is my question for you.....Do you have a favorite subject matter when reading? I mean do you find yourself reaching time and again for books about the same thing just with a new twist? If so, do share! If not, what makes you "shake things up"?